A Frolic through Time: Not Shaun the Sheep, but Lana the Sheep! Not Shaun the Sheep, but Lana the Sheep! Once upon a time there was a Shetland sheep, almost a year old. Her name was Lana, and she had long, tawny wool, almost like hair, and she was beautiful, and I fell in love with her. Lana was born and lived at Square Peg Farm* nearby, and with the blessing of Laura, a sweet friend and her shepherd, soon she was mine. Our town allowing horses to live inside city limits, but not sheep, and ovines, that is, sheep, being creatures who do not thrive away from their flock, she continued to live at Square Peg, where she is still today. She is not alone. 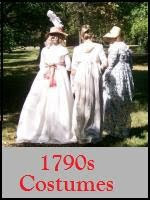 She belongs to a delightful flock, of whom Elizabeth is the leader. 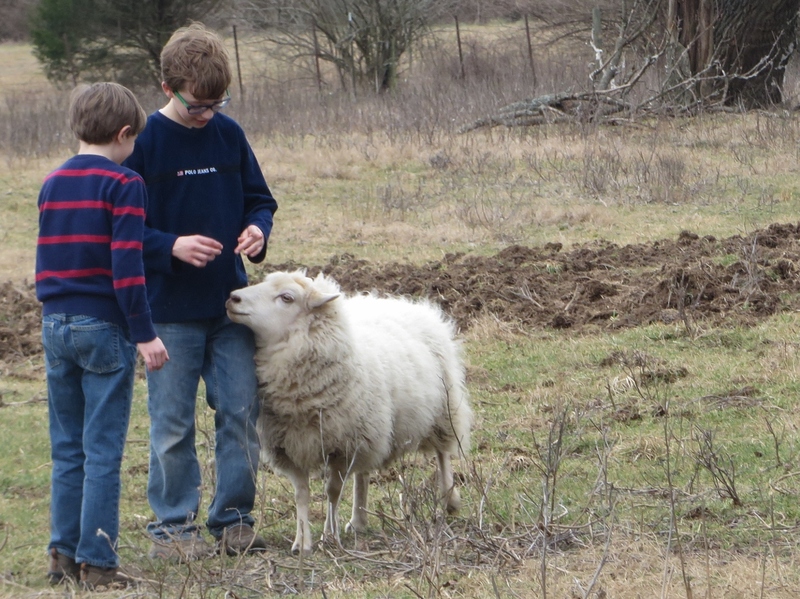 As a lamb, she was loved by children and attended 4-H events and so she is as social as they come. She'll actually leave her flock to visit with people and to follow them around. Her happy wagging tail and sweet face melt hearts, and a melted heart usually means a nice big treat handout, so everyone is contented. She is even famous, since Laura and her mother wrote a children's book about her and an incident with some laundry. You'll have to read The Story of the Unique Sheep. Then there are Lily, a tiny, delicate dark chocolate wonder of a friendly girl, and Toffee, the visiting ram who looks a little lopsided because he lost part of a horn, but who doesn't care a whit and likes to hang out with people, too, looking for handouts and nibbling nearby grass in a friendly way. These three are perfectly willing to become a mini-flock with my boys. The latter couldn't be more delighted. Peek carefully at the below: one boy is dreaming and the other has a joyful grin ear to ear. Elizabeth, Lily, and Toffee in the background. Getting close to Lana is not easy. She's as keen for treats as Toffee -- in the lead here -- and Elizabeth -- who seems to run so fast her ears are flattened to her head -- and is that Etta behind her, and Elizabeth's sweet and friendly son Larry afterwards, with Lana off to the side? She's a fey, shy girl though, so I've only touched her once. That was during shearing last year. 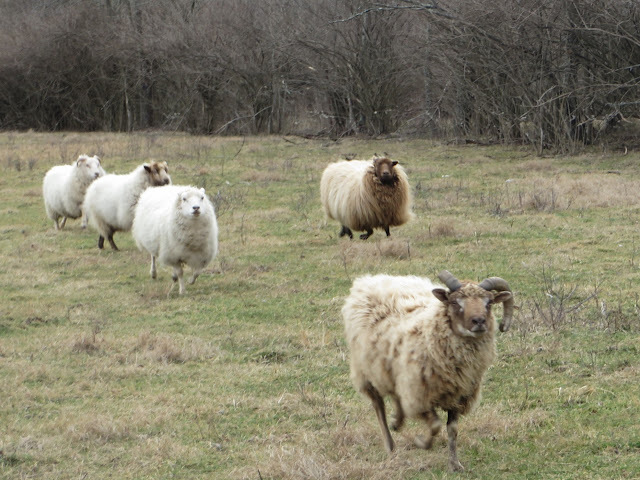 Shetlands are small, about knee high, 50-75 pounds. 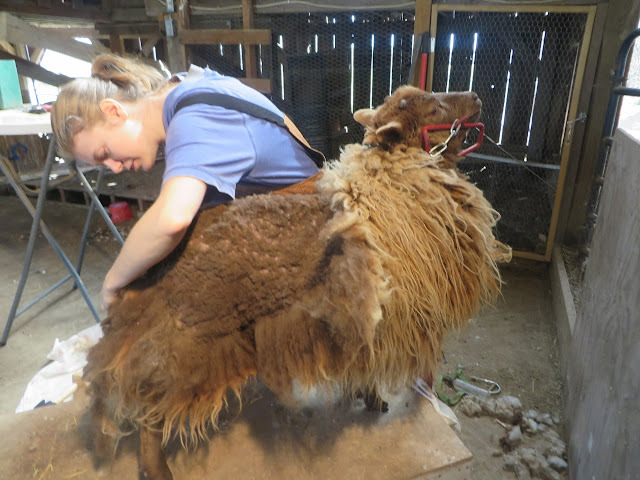 It'll be less sore on your back if you harness your sheep to a stand to shear them, give them their shots, check and trim their hooves, and do an all-over check. Once they know they'll not be ending their life on that stand, they'll, well, stand it, pretty okay. Young Lana thought her life was over, and trembled almost continuously, the day Laura and I sheared her. It probably didn't help that I was petrified of hurting her -- my nerves surely magnified her fear. Laura shears one side of Lana. I was shearing the other. It was treat time afterward. 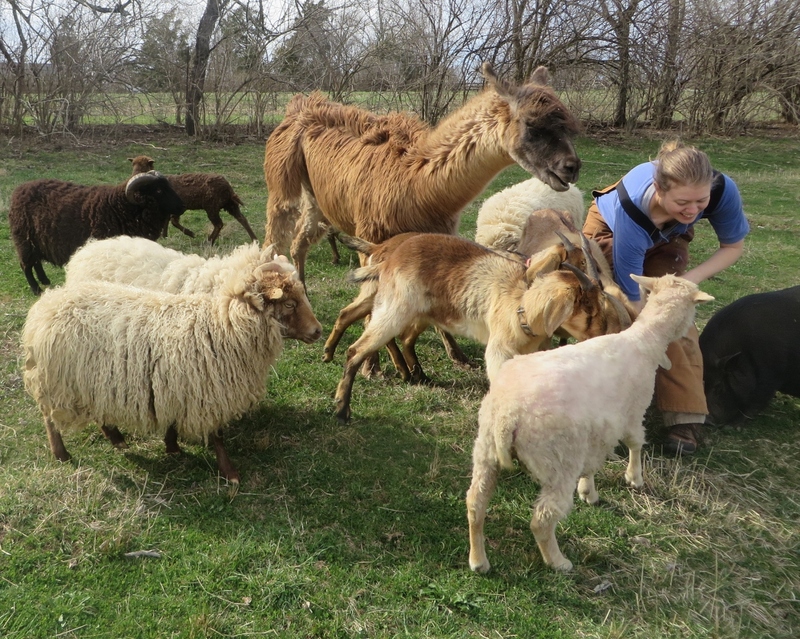 Lana, now much smaller -- she's the tiny skinny girl in the far back, circling unsuccessfully while the older, higher-status sheep (like her mother Etta at front left) and the goats and Grace the guard llama get the goods, hung back. She'd been butted some after her shearing. The rest of her flock was not ready to recognize her yet in her new 'do. Getting used to ovine behavior takes a bit of doing. Sweet they are, but they're a little like kids on a playground, and so they have a pecking order. Ooh, what does Laura-Shepherd have here? Lana's lamb fleece was so soft, so lovely, and I brought a bit home. Her moorit wool is bleached blond at the tips. Muffin and Ladybug were taken by its tantalizing scent. Not long after that Muffin had a luxurious roll in it. 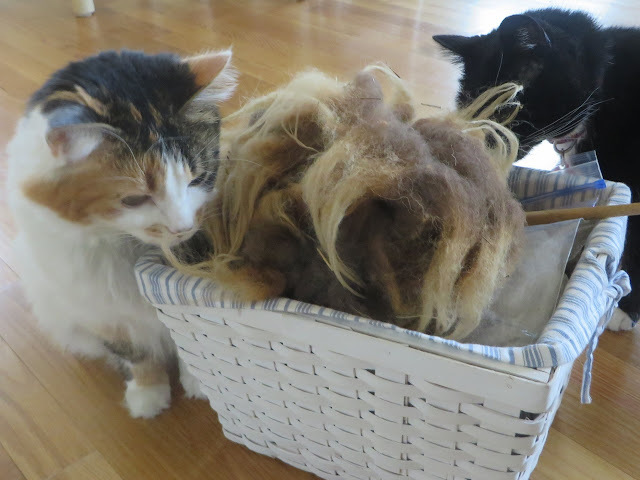 Looking at the wool, in the basket and on its creator, you might wonder why she's got what looks like long, waving hair while her flock-mates are covered with long, crimpy, wool? That's because Shetlands are a "primitive" breed. On their native islands, their keepers have valued their variety of colors and coats, and the variety wasn't bred out of them. Lana is the very primitive "dual coat" variety, her long outer hair shedding rain easily and the warm super-soft down underneath helping her to laugh at cold and wind and damp. Elizabeth is a large version of the "kindly" Shetland variety, with pretty much one type of nice soft wool, rather long, all over. Lily may represent a third type. She's actually more normal-sized for Shetlands, and she has shortist, super-soft crimpy wool. 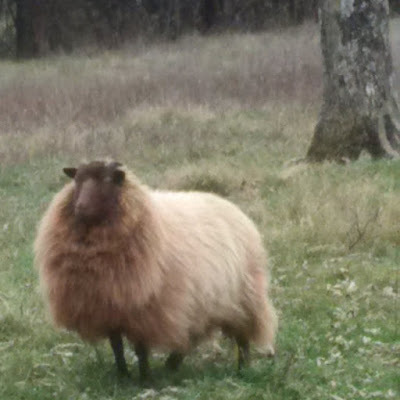 If you look up Shetland sheep on Google you can find out lots about them. What next in this story? Does Lana look a little less lean under all that wool, compared to last fall? Why are we so concerned? We're hoping she'll have a lamb in April! What a lovely story. Sheep here are mostly the more white and wooly types, at least in the parts of the country visible from SH1. Shetlands are so pretty, and I guess the different colours were essential for that fabulous shetland knittng. They're adorable! I can see why you got attached to her. So cute! Yep, nothing like a colorful fluffball that says "Baaa". The cute and sweet factors are very high. 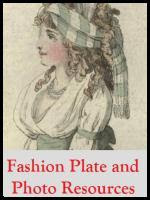 Mrs. C., crofters never bred the variety out of their sheep because they didn't industrialize their cottage industries the way much of the rest of the world did. The Fair Isle sweaters, interestingly, came later. Earlier it was the wonderful down that was so valued for lace shawls, and the outer hair for socks. At least, so I read. In the coming weeks we have shearing time, lambing time, lamb feeding time, lamb cuddling time, and we sincerely hope, Lana socializing time. Lots of fun to report to you all and I hope it brings some smiles. Sheep are really, *really* interesting animals, and our human history is tightly woven with them. Hello, Rosa! Yes, it's nice to be posting a little. Health really was a problem last year, but hope this one will be better. 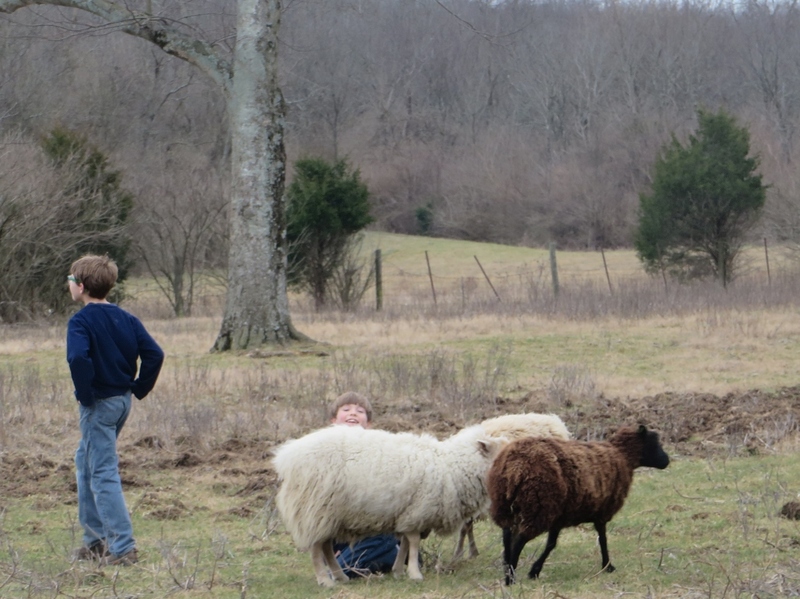 Spinning isn't hard on the eyes, and handling sheep and their fiber is one of life's more peaceful joys, and the boys and I can enjoy it together. How are you doing? I haven't been reading blogs much, either, alas. Each of Lana's fleeces I will clean and spin and save up until I have enough to weave a blanket for each boy. At least two years of fleece, and maybe three years until I weave. That way each boy has a blanket that once lived on the hoof in his town and that the family's work made into something warm and useful. I try to instill a love for our countryside and for all that grows in it, so that they will be connected to it and want to care for it when their time comes.